Haven’t had time to prep anything from Brisbane to take advantage of this window of connectivity so here is one that’s been waiting in the wings of my mind. You have to love these guys, such efficiency, such single pointedness. No emotion whatever, thank god. 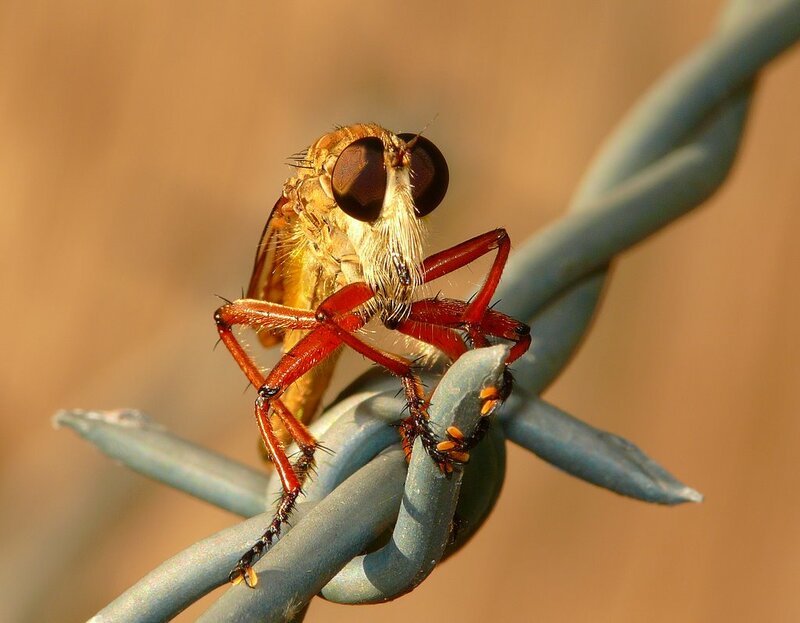 For three days now I have been down the same track to the same spot at the same time of day and the ‘same’ robber fly showed up in the same spot, on the barbed wire fence. That’s a lot of the same. I wonder how some creatures get their name. 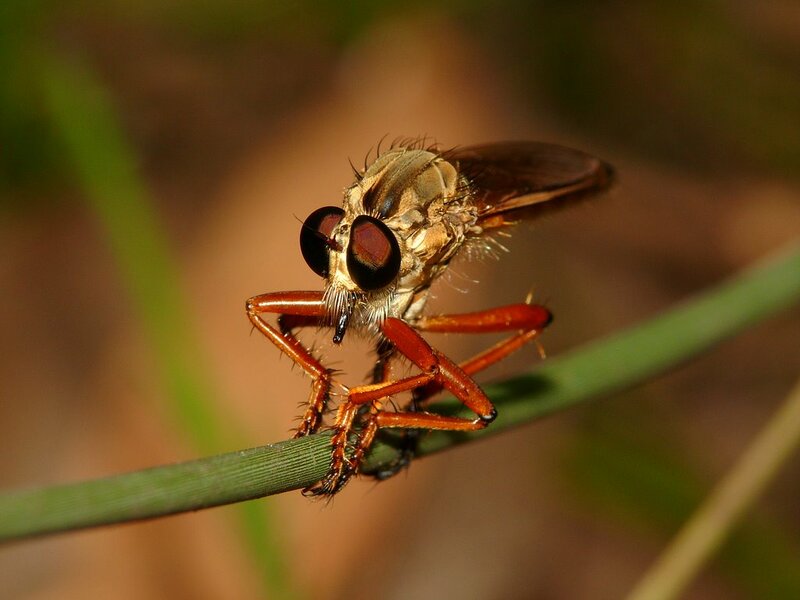 Robber fly? I suspect it’s called that for the ease with which it takes its prey. It snatches them on the wing, gripping them with its long thorny legs and robs the life out of them. I have seen one on the back of another flying creature, poised on a branch, sucking the life out of it through its proboscis. 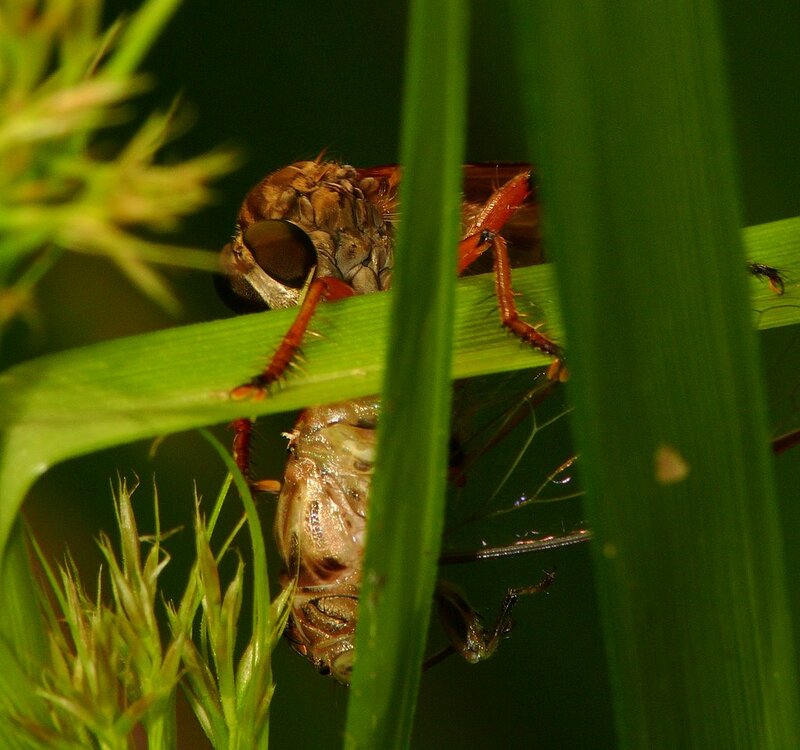 I also saw one sucking the life out of another robber fly. Indiscriminate? Or, like the famous black widow spider she was done with him, he had served his purpose? Many creatures have a proboscis of some kind, usually the pointy kind. I just haven’t seen many actually use it. The cicada has one, the shield bug has one, the assassin bug and so many more small creatures I have never known the names of have one. I have pictures of them though, dead and alive. The proboscis must be a very efficient killing and eating tool. Well it is, isn’t it? As efficient as a knife is at cutting, a spear is at piercing or a tube is at siphoning. That’s where we get our tools and weapons of war, from nature. Our beautiful nature, put to use. Hi Ted, I was fortunate the magnificent thing sat in the sun long enough. On a barbed wire fence, out in the bush! 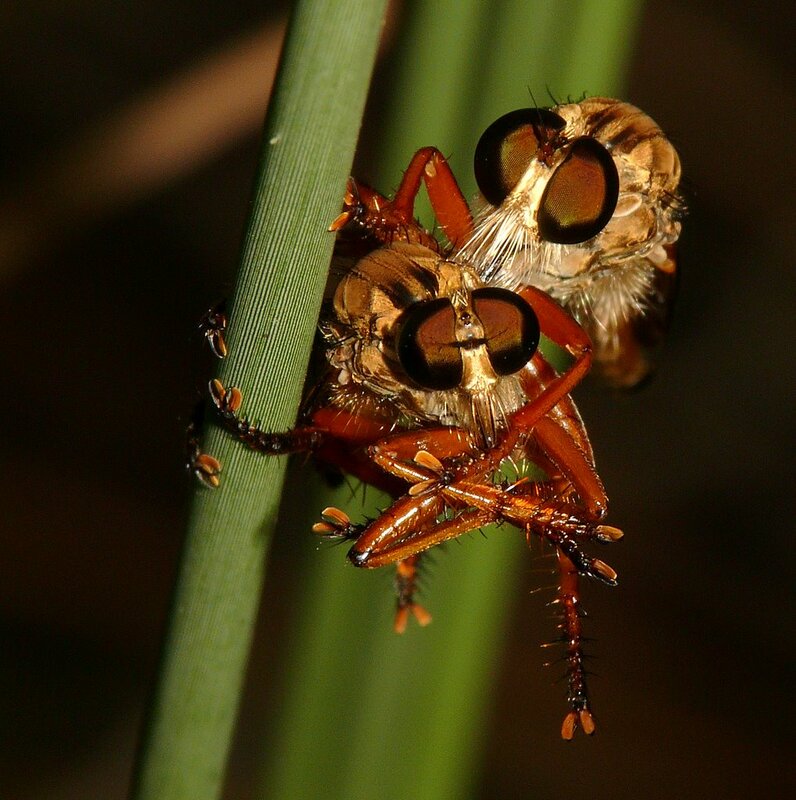 STUNNING photograph of a robber fly – very nice. Glad you like it. It’s an incredible creature.